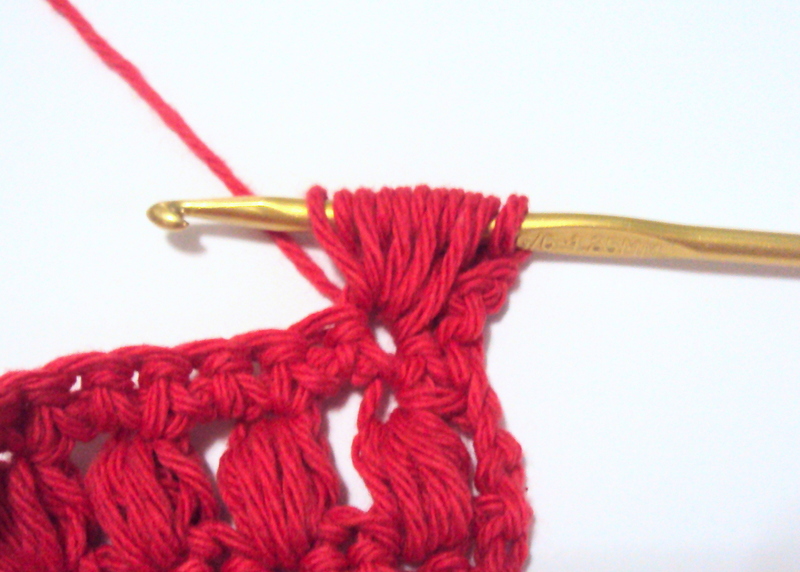 The puff stitch is related to the popcorn stitch and the bobble stitch. They all provide interesting texture, but the puff stitch’s advantage is that it pops out on both sides of the work, meaning the back of the work looks pretty much like the front. The puff stitch is very similar to the bobble. 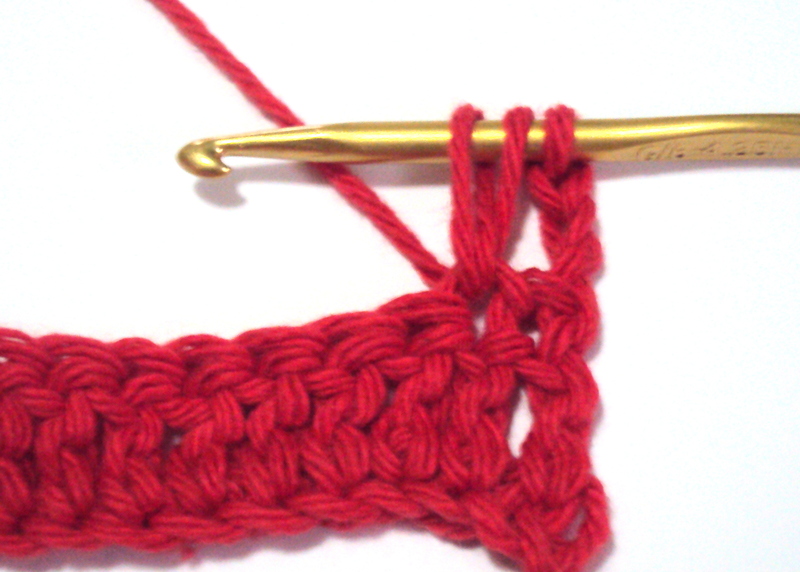 But instead of half-finished double crochet stitches, the puff stitch is made with half-finished half double crochet stitches. 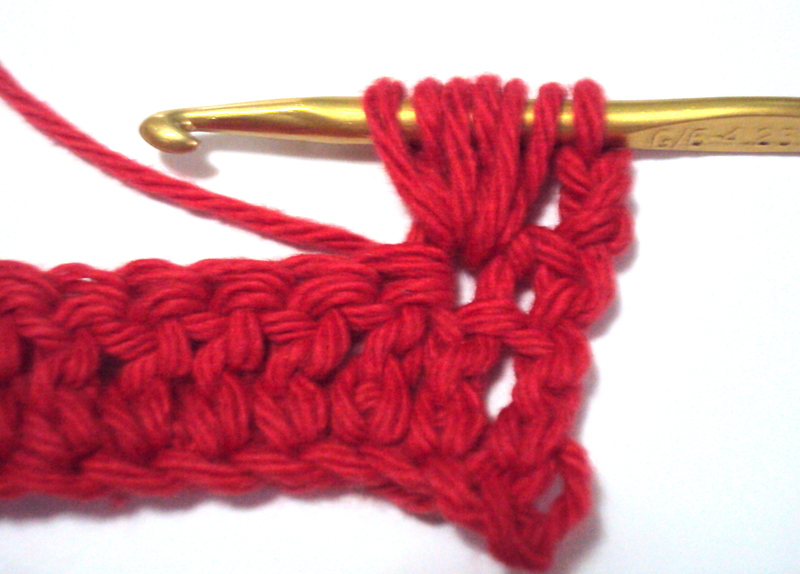 The more half-finished half double crochet stitches made before closing the stitch, the puffier it looks. The photo on the right clearly shows the difference. 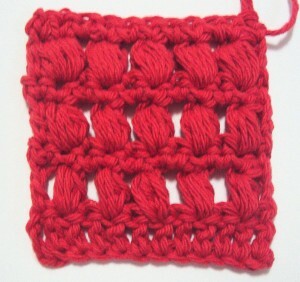 The puff stitches in the bottom row are made with 3 half-finished half double crochet stitches; the middle row with 4 half-finished half double crochet stitches; and the top most with 5 half-finished half double crochet stitches. 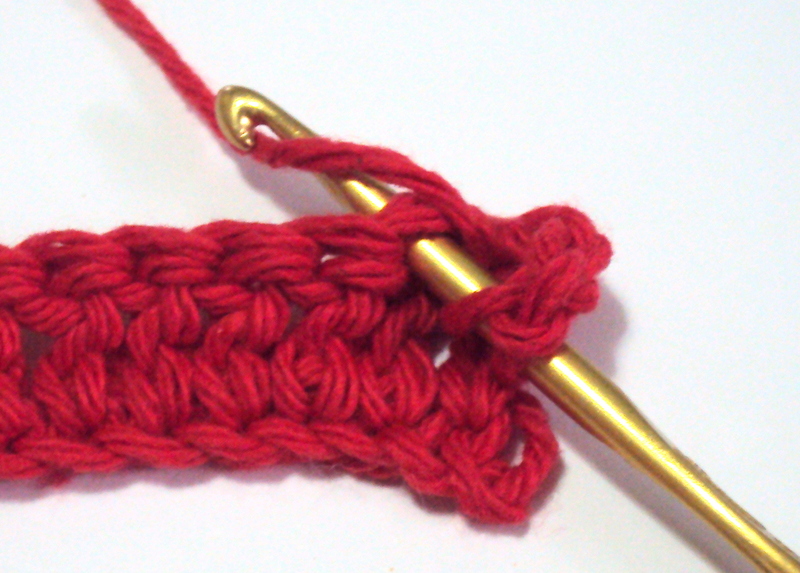 This tutorial shows how to create the puff stitch for both right-handed and left-handed crocheters. Mousing over the images shows the photos for the left-handed tutorial. 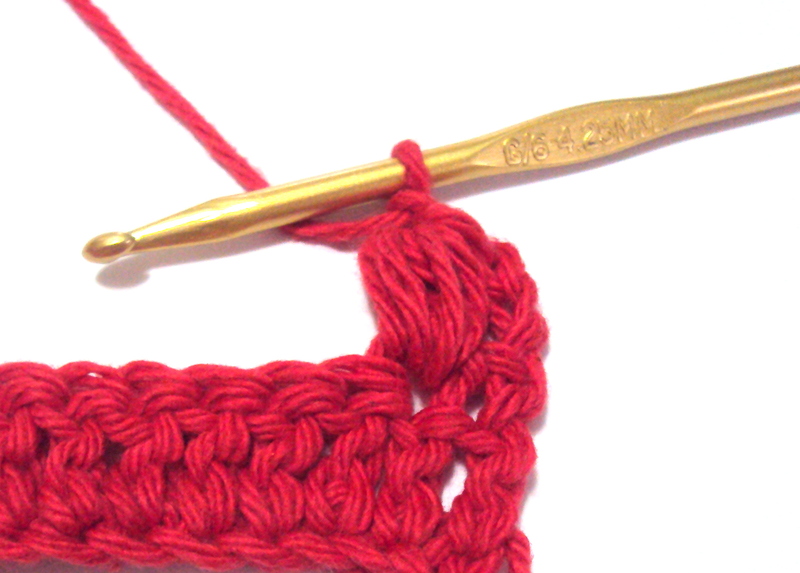 The puff stitch starts the same as a half double crochet stitch — yarn over, insert hook in designated stitch or space, yarn over, pull through stitch or space. The difference is that the last step that completes the hdc stitch (yarn over, pull through all three loops on hook) is skipped. 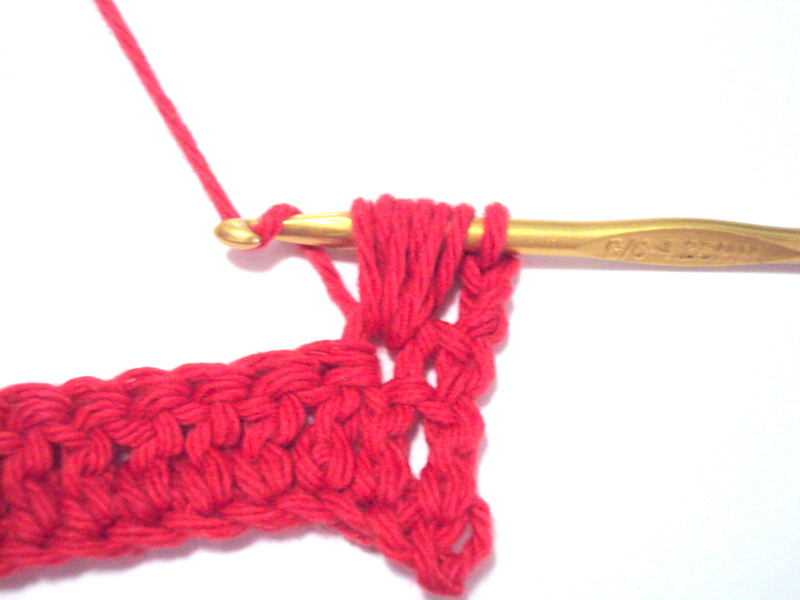 The loops are drawn up to the height of a regular double crochet stitch. The first steps are repeated a few times more. We then yarn over and pull yarn through all the loops on the hook. 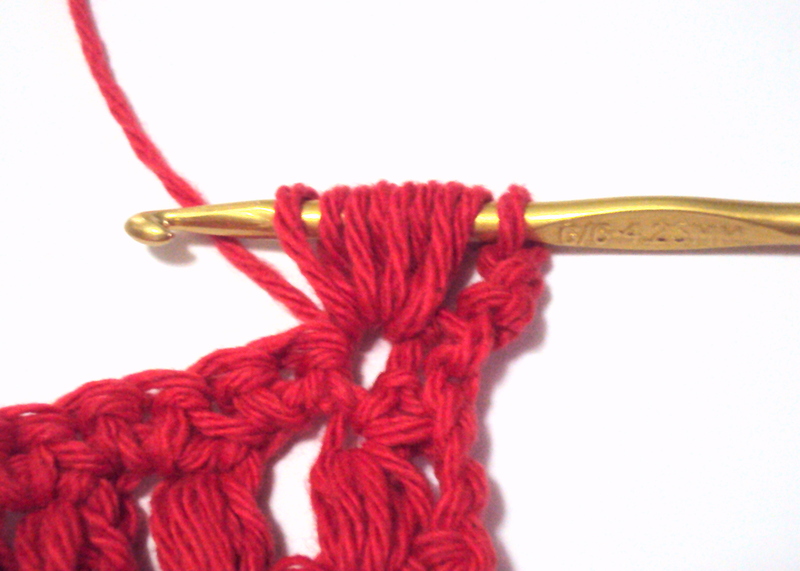 A single chain locks down and completes the puff stitch. Yarn over, insert hook in designated stitch or space. Yarn over, pull yarn through and out of stitch or space. 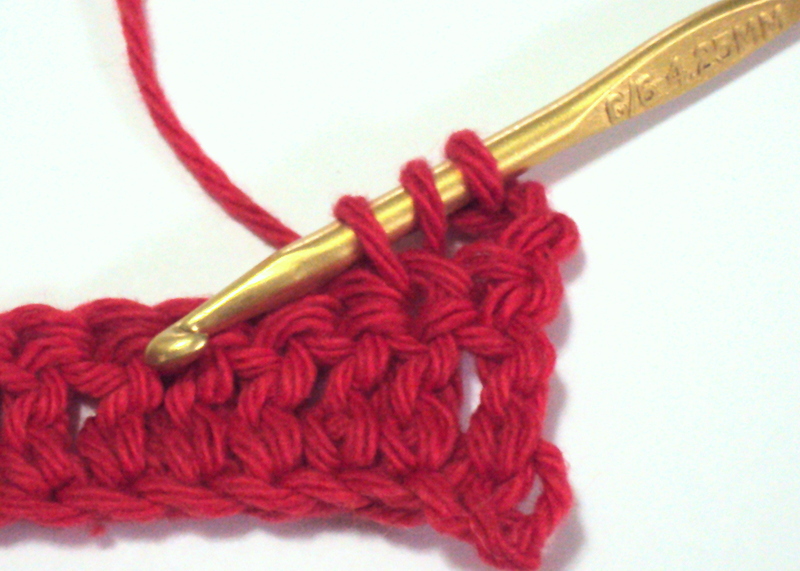 Pull loops upward, the same height as a double crochet stitch. 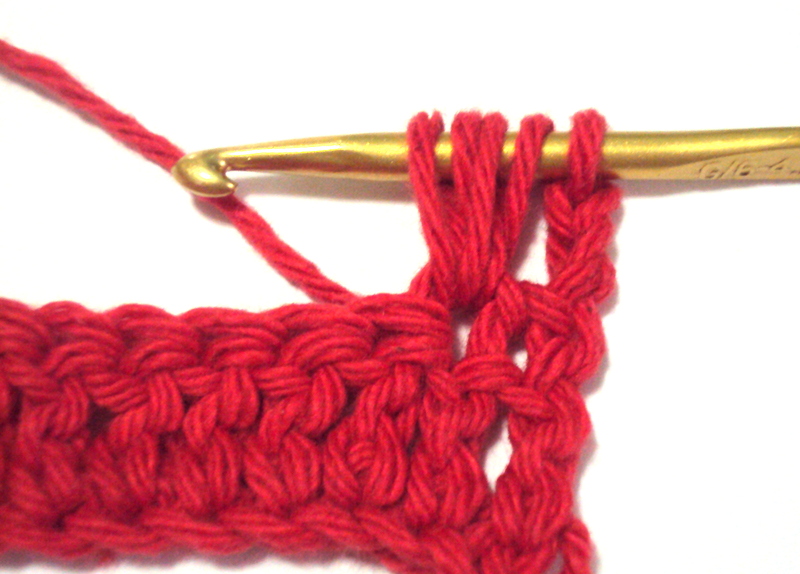 Repeat previous steps (yarn over, insert in same stitch or space, yarn over, pull yarn through stitch or space). Pull new loops to the same height as the first loops. By now you should have 5 loops on your hook. For the third time, yarn over, insert in same stitch or space, yarn over, pull yarn through stitch or space and pull loops up. A total of 7 loops on hook. Yarn over, pull yarn through all loops on hook. Yarn over, pull yarn through loop (one chain stitch made). This closes the puff stitch. One 3-hdc puff stitch made! 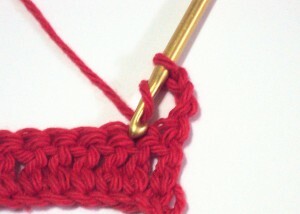 If you make one more half-finished hdc before closing the puff (a 4-hdc-puff stitch), you should have 9 loops on hook. Complete the puff stitch by pulling yarn through all loops on hook, and making one chain stitch. 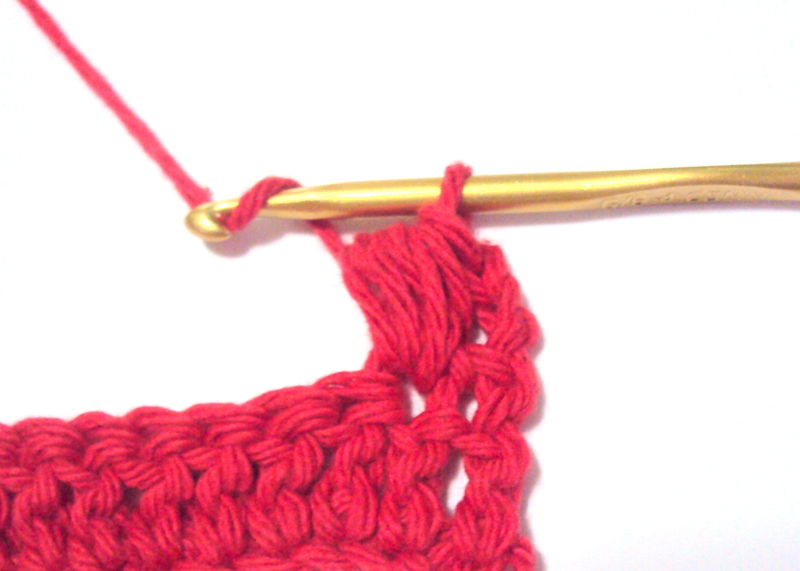 To make a 5-hdc-puff stitch, make one more half-finished hdc before sealing the puff stitch closed. You should have 11 loops on hook. Complete the puff stitch by pulling yarn through all loops on hook, and making one chain stitch. 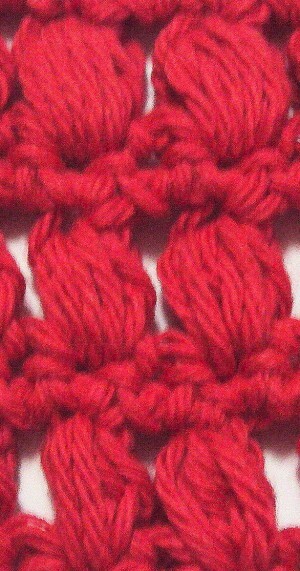 This image shows a closer view of the puff stitch variations. The number of half-finished hdc stitches increase from the bottom row to the top. Notice that the size of spaces in between the puff stitches vary, depending on how many half-finished hdc stitches are made before closing the stitch. I hope that was helpful! If there’s anything at all that I can help with, just let me know by leaving a comment below. I’ll get back to you as soon as I can. This entry was posted on Thursday, December 2nd, 2010 at 12:00 AM by Claire Ortega-Reyes	and is filed under Tutorials and Help. You can follow any responses to this entry through the RSS 2.0 feed. You can leave a response, or trackback from your own site. Hi, thank you so much for the lesson on puff stitch, I was having so much trouble and then I found you! I love the puff stitch. I made a baby blanket in a week using this stitch and pink and green pound of love yarn held together. It was so soft I wanted to keep it for myself! I can’t thank you enough for the great tutorials…It makes expanding my creativity with Crocheting much easier and more interesting. You make it so much easier to understand & master new stitches & technics…. I have been unable to get the hang of the puff stitch but after looking on your blog it was so easy. Thank you.